Former STUDIO Associate Fellow, Grant Kester Ph.D, is the current chair of the Department of Visual Arts at University of California at San Diego. Kester is an art historian and critic whose research focuses on socially-engaged art practice, the visual culture of American reform movements, and aesthetic theory. 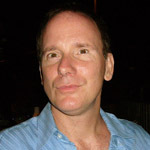 He received a BFA in photography from the Maryland Institute, College of Art and an MA and PhD from the Visual and Cultural Studies program at the University of Rochester, where his dissertation examined the relationship between aesthetic and political philosophy in eighteenth-century English culture. Prior to joining UCSD Kester taught at Arizona State University, Washington State University, and the Visual Studies Workshop in Rochester, New York. Kester’s essays have been published in The Blackwell Companion to Contemporary Art Since 1945 (Blackwell, 2005), Theory in Contemporary Art Since 1945 (Blackwell, 2004), Poverty and Social Welfare in America: An Encyclopedia (ABC-Clio, 2004), Politics and Poetics: Radical Aesthetics for the Classroom (St. Martins Press, 1999), the Encyclopedia of Aesthetics (Oxford University Press, 1998), Ethics, Information and Technology: Readings (McFarland, 1997) and Photo Manifesto: Contemporary Photography in the USSR (Stewart, Tabori and Chang, 1991) as well as journals including Afterimage, October, Variant (Scotland), FOCAS (Singapore), Public Art Review, Exposure, Mix (Canada), the Nation, New Art Examiner, Third Text, Social Text and Art Papers.